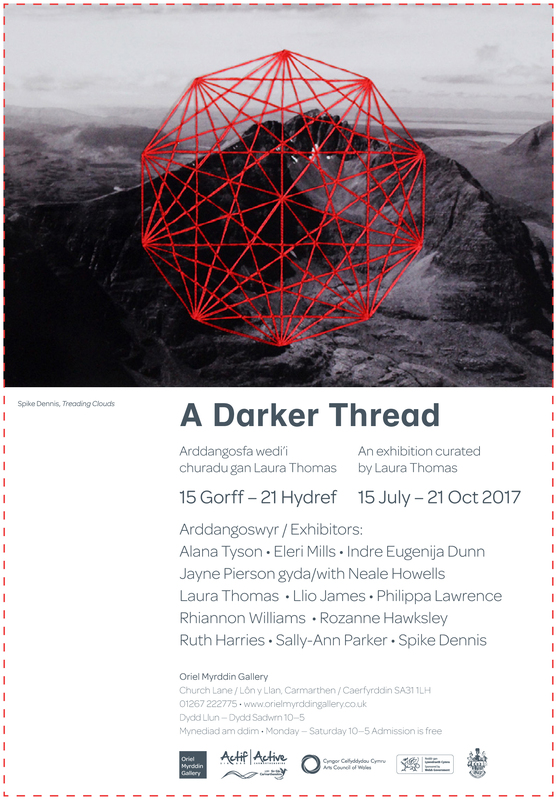 I’m delighted to be exhibiting works from my Treading Clouds & Updraughts (pictured above) series as a part of the ‘A Darker Thread’ exhibition at Oriel Myrddin Gallery in Carmarthen, Wales, this summer. The gallery have also organised a programme of other events and activities to accompany the exhibition, including talks with the Curator, artst alks, and workshops. Click here to download a PDF list with further information about the available activities.